Starring: Sushant Singh Rajput, Anupam Kher, Rajesh Sharma and others. Maybe it’s the time for heroes. The country needs to be reminded that there are people to look up to if the need arises. And cinema conveys this best. After Mary Kom and Budhia Singh: Born to Run, there finally is a biopic on a star cricketer. There are, of course, others like Tiger Pataudi, Eknath Solkar and, of course, Sachin Tendulkar, who could have had their lives filmed; somehow Azhar jumped the queue because of the fixing scandal linked to his name. The squeaky clean M.S. Dhoni comes up next, as Neeraj Pandey took the opportunity to make a film about a current icon, reporte­dly with his approval of the script. It is supposed to be an ‘untold story’, but almost everything is known even to the casual newspaper reader or TV viewer. There is something common to all strive-to-win films—the protagonist’s dedication, sup­erhuman will and so on. Not that his achievements are not remarkable, but his story seems to be similar to that of many other cricketers—ordinary background, discovery of talent, the passion and the struggle to make it big and finally, success on the field. What Pandey gets right is the smalltown atmosphere, and the warm camaraderie between Dhoni and his selfless friends. But there aren’t many cinematic highs and lows in Dhoni’s life so far, which is why Neeraj Pandey is hard put to bring drama into a bland story. Dhoni (Sushant Singh Rajput) has a regular middle-class childhood, with his father (Anupam Kher) having small expectations for him, like a safe government job. Most of the film is about him playing as he rises up the cricketing ladder, and the res­ponses of his family and friends watching him on TV. What Pandey does get right is the small-town atmosphere, and the heartwarming camaraderie between Dhoni and his friends, who selflessly put their lives on hold so that their buddy can fulfil his dream. 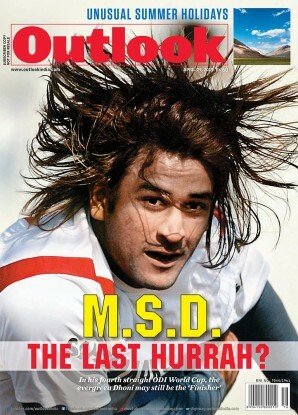 But for a small burst of rebellion and dep­ression, when he gets stuck in a dead-end ticket collector’s job, Dhoni’s life seems to be on the up. There is not a hint of darkness or controversy. Except for glimpses of Yuvraj Singh and a couple of others, there is no interaction between Dhoni and his teammates. Cricket hardly seems like a team sport, coming with its quota of keen competitiveness and lots of internal and external politicking. And the camera is constantly capturing Dhoni hitting elegant strokes—not a stumble visible. There is a scare when he scores low in a crucial series, but it’s a minor storm. The overlong film is almost winding down, when, as an afterthought, the two women are introduced—Priyanka (Kiara Advani), who is killed in an accident, and Sakshi (Disha Patani), who he marries. There is a dash of humour in the scene in which Sakshi, a hotel receptionist, does not recognise the star. Sushant Singh Rajput does his best to make Dhoni look like a flesh-and-blood character—moving slowly from reticence to flamboyance, getting the stance and walk and attitude right, but is let down by a lacklustre script. Modern cricket is made up of thrills—the film, unfortunately, has more of tedium. Still, audiences have taken to it, because it combines two mass opiates—cricket and cinema. A film like that, and one that is suitably worshipful (which Azhar was not), can hardly go wrong. Biopics, so successful in Hollywood, are fin­ally catching on here—the upcoming Aamir Khan starrer, Dangal, is about Mahavir Singh Phogat and his wrestler daughters. 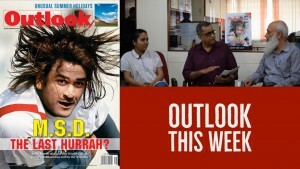 Films on Gama pehalwan, hoc­key legend Dhyanchand, footballer Sibdas Bhaduri and badminton champ and P.V. Sindhu’s coach, Pullela Gopichand, are in various stages of development.